Grandson: I lose patience when she doesn’t understand my point of view and that is why I raise my voice. Grandfather: But, your wife is close enough for her to hear you even when you say the same sentence in a calm manner. Why do you have to raise your voice? Grandson: I raise my voice so that my voice is heard and I can also let out the steam by raising my voice. Grandfather:That is not the exact reason for you to raise your voice. 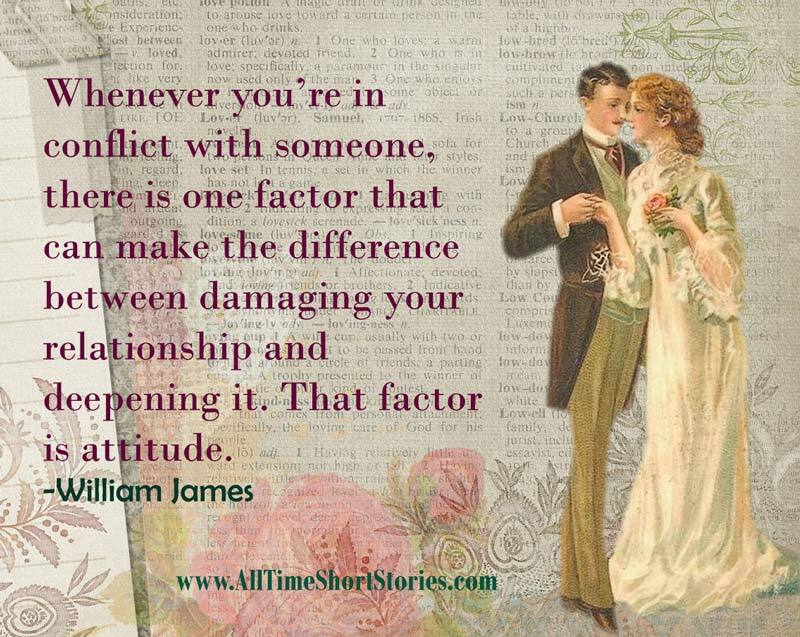 The real reason is that when you are angry with your wife, your heart moves away from her heart. So even though you are physically close to each other, you feel that you are far away from one another and hence raise your voice. Grandson: If that is the reason for raising the voice, what do we do when we are in love? Grandfather: When two people are in love, their hearts are close to each other. Even if you whisper softly, you both can hear very clearly. At such times one can communicate with their loved ones even through the language of silence.